The Garmin Nuvi 2699LMT may not be Garmin’s flagship model but it comes equipped with a number of helpful navigation features that make for a splendid trip. It boasts of a bright 6-inch high resolution display with a capability to zoom when pinched, which enables you get a closer look at any information on the screen. 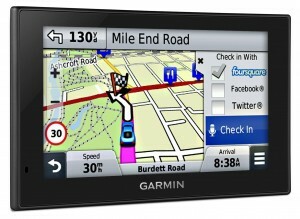 It has a dual-orientation capability that enables you utilize your sat nav either in a horizontal or vertical position. It comes pre-loaded with detailed maps of UK and Europe, complete with free lifetime map updates, to ensure that tour sat nav is reflective of the most recent updates to the maps, points of interest (POI) or any other available navigation information. You also can download new maps for the duration of your gadget minus having to pay any fees. The device incorporates Bluetooth that facilitates hands-free calling in addition to linking to your smartphone for other purposes. Garmin’s Digital Traffic that comes with your device comes with a subscription-free service for the lifetime of the device. There are no distracting advertising present to deter you from your navigation on the digital traffic and it’s inclusive of highways, interstates, and secondary roads in its coverage area. It is also voice-activated to make for responses to spoken requests. You will also get confirmation on if you are on the best route or not. The plus side is that you have no need to have a smartphone present since the traffic information is conveyed straight to your sat nav. 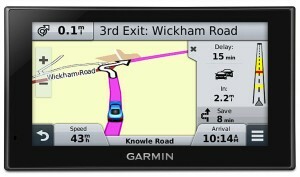 Drive to your destination with confidence with the Garmin 2699 thanks to the Active Lane Guidance feature present. As you move toward your destination, an animated model makes use of brightly colored arrows to point you to the proper lane desirable for your route. Aside from the brilliantly colored arrows, a natural and welcoming voice offers added help. You are able to enjoy hand-free calling with this device when you sync a Bluetooth-enabled device, such as your smartphone to it. This makes it possible to drive as you talk hence keeping your eyes on the road and hands on the wheels. Last but not least, this sat nav makes use of voice-activated navigation which means that you are able to speak, and your device responds cleverly to your voice in order to enable you keep your hands on the wheel. The verdict? 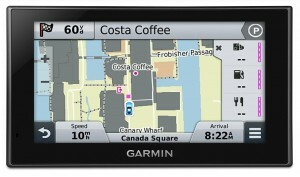 The Garmin 2699 comes with a comprehensive set of navigational features that make it a worthy sat nav to own.